This is a short story of a certain man, woman and dog (as well as a couch). Their days pass with naps and boredom. Everything changes when the pet suddenly disappears. Is the daily micro cosmos only an insignificant drop in the universe or is it the universe in-and-of itself? 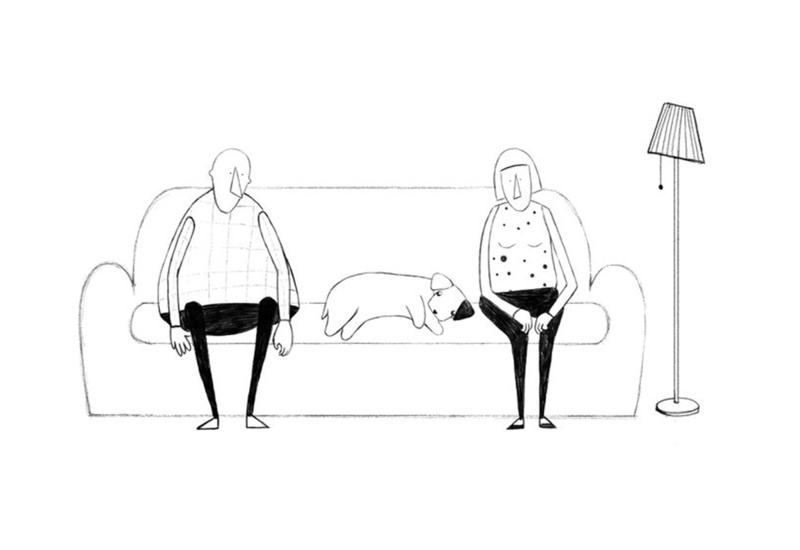 This spare animated film shows how human relationships can be so simple and simultaneously complex. Born in 1982. She graduated from the Department of Ethnology and Cultural Anthropology at the University of Warsaw. After studies worked in PR agency, art gallery and municipal cultural organizations. Now a student of the Direction of Photography and TV Production Department, with major in Animation and Special Effects.